Is Labour doing badly when it comes to women’s representation in local government? Yes, we’re doing fairly shockingly, it would seem. While we might be doing better than the Tories and Lib Dems, a new report out today shows that Labour is still faring pretty poorly when it comes to gender balance in local government. Women are less likely to be in key cabinet positions and the party is still not hitting a 50:50 balance on candidates or councillors. It is infuriating – and a few issues stand out from the landmark IPPR study. A partial explanation offered in the IPPR report is that 38 per cent of Labour members are women and that the imbalance seen in Labour’s local government groups are simply a reflection of that. This is a pretty weak explanation, however and one that we – rightly – do not tolerate when it comes to parliamentary representation. There are various Labour groups doing what they can to help redress the balance, and the excellent Labour Women’s Network and Fabian’s Women Network being two that not only campaign for further action, also provide mentoring schemes for women, including the recently created Jo Cox Women in Leadership program. The FWN also produced a pamphlet Stand up and be counted: be a councillor full of useful advice and tips from people who have been elected to local government. The issue is not a lack of good schemes or hard work from the Labour sisterhood: it’s much broader. The fact that in the overwhelmingly Labour region of Liverpool there is a Labour mayoralty, with only men as voting members in its cabinet is shocking. Three out of the four Tory metro mayoralties also have this problem, in West Midlands, Cambridgeshire and Peterborough and West of England, but we must always hold ourselves to higher standards. 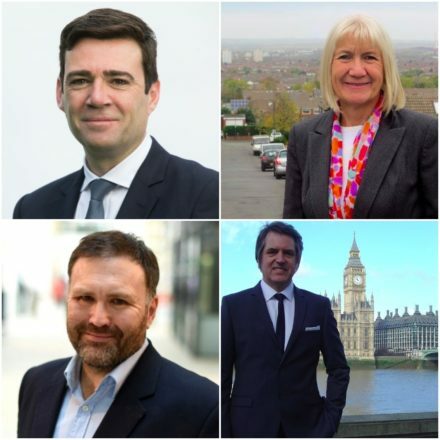 The Liverpool city region cabinet, which is comprised of leaders of local authorities – Liverpool, Halton, Knowsley, St Helens, Sefton and the Wirral – is not appointed by Steve Rotheram, so it is not the case that there is one person to blame, and the mayor has said that it is something he wants to change the “unacceptable gender imbalance” as soon as possible. Labour cannot use this as an excuse, however – every single mayor or council leader in each of those authorities is Labour. The issue must be structural. Another issue that the report highlights is the areas that women focus on in local government. Women are more to be hold portfolios for such as children services and social care. These tend to be less likely to lead to the ultimate positions of responsibility, in contrast to typically male-dominated areas such as business, regeneration and finance. Why is Sue Jeffrey not the mayor of this heartland region, when the Tories put up someone who was essentially a joke candidate who mooted the idea of nationalising the airport? Labour’s volatility in the polls is reflected in the fact that it had a hugely disappointing result in the metro mayoral contests – missing out on Tees Valley and the West Midlands – before a stronger-than-expected showing in the general election. Jeffrey was not just the better candidate by being a Labour figure – she was clearly the sensible choice from every perspective. Maybe one day she, or another excellent Labour woman, will be mayor of the Tees Valley. Here’s hoping. You can read IPPR’s full report here.